June 30, 2011 / A10 Clinical Solutions, Inc.
More than one third of the U.S. population is overweight or obese – 35% of women and 33% of men. Of course physicians stress that exercise and eating right are the best ways to lose weight, but how many people have tried those methods and still cannot lose the excess weight – weight that can cause serious health problems? For people in this frustrating situation, weight loss surgery may be an option. What better way to learn than to hear from actual patients who have had successful weight loss surgery! My name is Dawn Duggan, Director of Strategic Clinical Solutions for A10 Clinical Solutions, Inc. As a former participant of Bariatric surgery, a weight loss surgery performed to reduce the size of the stomach and food intake, I now offer my personal insight to others to determine if this surgery is a good decision for them. In recent, long-term studies, it has been shown that this treatment option causes significant weight loss, recovery from diabetes, improvement in cardiovascular risk factors, and a reduction in mortality. Being obese can hurt your life in many ways from worrying about fitting in the harness for the newest upside down roller coaster at the amusement park to being embarrassed to have to buy an extra seat on a plane, but perhaps more importantly, it endangers your health. I had been over weight my entire life and although my confidence level was high, I nevertheless considered myself the “fat girl”. A lot of people would dole out judgment, but thankfully, I reveled in the fact that I was confident and would not let my size define me. I always carried my outside the way that I felt inside. Although I was blessed with a confidence that went further than my size, it was necessary to choose my health and not simply my confidence. I had dieted before and had been successful to most people’s standards, losing 75 pounds at one point. Despite this weight loss; which only brought me to a size 16, I was still obese and in poor health. Please also consider that losing 75 pounds took about two years, exercising six days a week for 60 minutes each day at 5:30 am, eating healthy every day of the week, and stressing out when I ate too many blueberries. This was not a happy time in my life and my husband most certainly was aggravated. So, armed with that diet in mind amongst the myriad of others that I had tried (and yes, I tried all of them), I agreed to take the idea of surgery into consideration. When I raised the idea of surgery to others, I weighed 253 pounds and barely fit behind the steering wheel of my car. I was so big that I had to open my car door in order to be able to reach the lever to open the gas tank because my stomach did not let me bend that way. With no big surprise, I received much hesitation from family and friends suggesting that this surgery was not needed; however, after my surgery, when my progress became evident, remarks quickly turned from, “You’re not fat enough for this surgery. You are beautiful the way you are” to “Wow; I can’t believe it’s you. I’m so glad you did this!” Now don’t get me wrong, I have been blessed with a loving husband, family and group of friends who supported me all my life just as I was. My mom will still argue that I never looked like my before picture. When push comes to shove, my family knows that the girl before was obese, even morbidly obese, where her body could have killed her and they are relieved that I chose my health. I have lost a total of 112 pounds with 20 pounds left to go. You might think that after losing more than 100 pounds, motivation comes easily to me. It doesn’t! It is a constant battle; however, this whole process of struggle, while difficult, has showed me what I am capable of. Now my image of myself and the image of those who love me matches on the inside and on the outside. I have learned that it is not about perfection. Life is happening now, and I choose my health, my life and my happiness! June 7, 2011 / A10 Clinical Solutions, Inc.
Susan McCormick, a 21-year breast cancer survivor and Director of Strategic Clinical Solutions at A10 Clinical Solutions, Inc., has been a true inspiration at the office. The A10 Team, registered this year as Susan’s Breast Friends, has yet again taken on the Komen Challenge for the Komen NC Triangle Race for the Cure® event on Saturday, June 11th in Raleigh, North Carolina. A10 is thrilled to walk in support of our dynamite survivor, Susan, and the NC Triangle Affiliate of Susan G. Komen for the Cure in its efforts to end breast cancer. 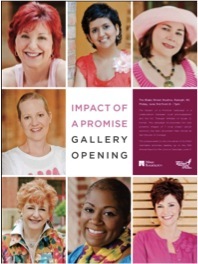 In 2010, Komen NC Trian gle began the Impact of a Promise project incorporating powerful images of seven local breast cancer survivors, including Susan, and documented their stories to empower them and to inspire others. Last year, Curtis Brown Photography joined forces with NC Komen Race for the Cure® to promote a gallery show with a very powerful collection of images to capture the true emotions of breast cancer survivors. This year, seven survivors will be telling their stories in person at a private reception this Friday in Raleigh and Susan has been invited as a past participant to listen to their stories. There is no doubt that many of us have been affected by breast cancer in the women and men we love most. With roughly 1.3 million people being diagnosed annually, A10 continues to fight for a cure. Remember, one person can make a difference and you can be a part of this worthwhile effort! It is up to you, survivors and co-survivors, to ensure a cure is found. A10 encourages you to share your dedication to Komen’s work and register online at http://bit.ly/ln5b6g and click “Join a Team.” You can also make a donation online at http://bit.ly/mtv7kj or mail a check made payable to Susan G. Komen for the Cure NC Triangle Affiliate, 133 Fayetteville Street, Suite 300, Raleigh, NC 27601. Your support helps us get another step closer to a world without breast cancer. We look forward to seeing you on race day! Thank you, Susan, for your inspiration and determination! May 4, 2011 / A10 Clinical Solutions, Inc. Guest Blogger Andrea Samuel is A10’s Supplier Diversity Manager and focuses on ensuring business is honest and fair to all capable vendors. At A10 Clinical Solutions, and in the clinical trials world, Diversity is of the utmost importance. If we dig deep, there is a long history of clinical trials that distinctly excluded populations, and even targeted certain populations to conduct unscrupulous and even cruel and barbaric trials. Take the Tuskegee Syphilis experiment that studied the natural progression of untreated syphilis: the research started in 1932 and continued over a 40 year period. More than 300 African-American sharecroppers from Alabama were enrolled for this study but had no idea about the disease they were actually carrying. Even worse, when Penicillin became the standard treatment for this illness in 1947, the experiment’s scientists continued the study without treating the patients and many of them died. Such a double whammy: first to think that you are receiving free healthcare and then to be left to die of a curable disease. Theevents were heartless, and had there been more focus on diversity in those days, and on monitoring the integrity of clinical trials programs, such an “experiment” could never have been allowed to take place. Let’s talk about Henrietta Lacks, who visited Johns Hopkins Hospital in the early 1950’s because of a painful “knot” and bloody discharge. A biopsy led to a cervical-cancer diagnosis. Treatment was given but her conditioned worsened and she died at the age of 31. The unbelievable part to this story is the legacy after her death…..You see, the cells from the cancer were removed without her knowledge or permission, but were used to conduct various clinical trials and studies. 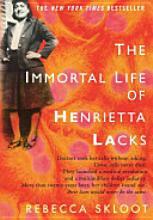 Henrietta’s cells were unlike any other the scientists had seen, as they could be kept alive and growing. Named “He-LA” after Henrietta Lacks, these celles were considered “immortal.” There are almost 11,000 patents who have utilized “He-La” cells and the cells have been a fundamental anchor in medical and biological research. 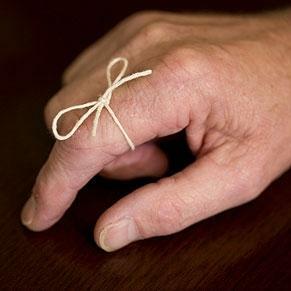 However, this wonderful medical miracle news was never shared with Henrietta’s family until long after its popularity. In fact, the family started getting calls from researchers in the early 1970’s who did not thank the family or compensate the family for the numerous experiments conducted from Henrietta’s cells. The researchers even wanted blood samples from them! So Henrietta never benefited and sadly her family, who were themselves impoverished, never really benefited from this wonderful discovery. Recent focus on this story is helping the family now, over 60 years and billions of dollars in money changing hands, later. The history of what happened in the past still creates reluctance for all populations to participate in critical clinical trials that advance science, or to choose career paths in the life sciences. There are populations where there is real fear and general mistrust out there of science and the entire clinical trials, clinical research and clinical studies processes. The current generation of kids and college students are tomorrow’s scientists……we want everyone represented. If we can move past the past, if you will, and keep moving down the path of doing the right thing for everyone involved, we will have succeeded. Organizations such as Diversity Alliance for Science, our non-profit organization that brings together major pharmaceutical companies with an assembly of talented and diverse clinical suppliers in an annual conference, helps educate and foster relationships to ensure that the stories mentioned above are a thing of the past. Our mission at A10 is Healing the World and to ensure that especially underserved populations are represented in the clinical research, clinical trials and clinical studies designed to heal everyone. April 11, 2011 / A10 Clinical Solutions, Inc. Many people stress doing what they already do well while others stress trying new things and taking the associated risks. Which do you prefer? Exploring new ideas in business can be overwhelming and may include plenty of risks; however, it is imperative to become a powerhouse in the industry. A10 is dedicated to strategic innovations, providing groundbreaking healthcare research and disease prevention. We have developed a national reputation for supporting clinical projects that have a significant impact on communities that have traditionally experienced healthcare disparities and is now recognized as a premier source of innovative information and services, including our recruiting techniques. A10 strives to enlist talent using key social media tools for attracting and finding the right personal to fill an available job opening. This ‘cyber recruiting’ system provides A10 with potential candidates for placement that otherwise may not have been found. For businesses like A10 to grow and expand, new ways of doing business must continually be tried. This world is forever changing and our novel services certainly keep customers and clients interested. A big benefit of trying new things is that you will certainly discover something useful that was unexpected. Whenever an intended initiative has failed or not succeeded as I intended, I have asked myself: what does this mean and how can I find value for the company anyway? My advice to you: Expect some failure, but anticipate many successes and learning opportunities along the way. Attempting new processes and outlooks regularly will, without a doubt, refresh your outlook on your business strategies. April 5, 2011 / A10 Clinical Solutions, Inc. 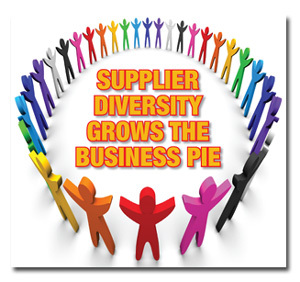 I found the perfect definition for Supplier Diversity in a recent article from the Black EOE Journal….. Even though Supplier Diversity programs started over 20 years ago, it seems that in recent years there has been a growing awareness of this kind of need and a development of such business programs in many companies. Big Corporate America has recognized the need to diversify its suppliers. Most even have developed mandatory Supplier Diversity departments and organizations, and track very carefully the corporate spend for diverse suppliers as a mandate to meet company goals. In addition, the representatives in this unique area of these organizations are responsible for researching new and innovative ways to do business with and be advocates for diverse suppliers. Slowly but surely, the Fortune 1000 leading the charge are being proactive with this very essential initiative. When all sizes and types of businesses engage, this down economy may just stand a chance to rebound, which is a good for us all. March 28, 2011 / A10 Clinical Solutions, Inc. In 2010, after the recent passing of my dear mother to heart disease, A10 decided to make a donation to the American Heart Association for Christmas http://bit.ly/dcocA9, helping to save the lives of people in our community in spirit of the season. A10 wants to offer this gift as a lasting reminder of A10’s support for lifesaving cardiovascular research. In 2004, the American Heart Association (AHA) noted that cardiovascular disease was claiming the lives of nearly 500,000 American women each year, yet women were not paying attention to these figures and in some cases, dismissed heart disease as an “older man’s disease.” To dismiss the myths and raise awareness of heart disease as the number one killer of women, the AHA created the Go Red For Women Movement – an initiative designed to empower women to take charge of their heart health. This year-round cause campaign aims to raise women’s awareness of the risks of heart disease and stroke. 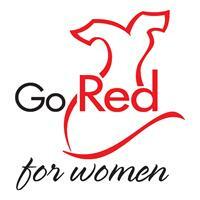 A10 is sponsoring Raleigh’s first-annual AHA Go Red For Women Day in Wake County for Raleigh’s uninsured and under-insured women and children this Friday, April 1, 2011, at Marbles Kid Museum in downtown Raleigh from 3-7pm. A10 is doing its part to help women reduce their risk of heart disease as it continues to kill a half-million women each year at the rate of one per minute. A10 will be promoting healthier lives free of cardiovascular diseases and stroke, by educating others about the risks of heart disease and the better choices they can make to lead heart-healthy lives. This event is an opportunity for uninsured women to bring their children for an afternoon event celebrating women and their heart health. Provided at the event will be screenings for blood pressure and BMI by UNC Chapel Hill Rehab Group; heart-healthy cooking demos by AHA 2009 Chef Challenge Champion, Chef Ricky Moore, who will provide samples of heart-healthy appetizers and recipe cards to take home; kids exercise demos led by the YMCA; groceries to re-create healthy meals provided by Harris Teeter; CPR training offered by Go Red Triangle sponsor Southeastern Emergency Equipment; healthy snacks; free same-day Marbles passes; take-home gifts and information; and more. We feel it is critical to help women who do not have insurance or the means for proper medical care to receive heart education and a way to care for themselves and their children. This event is being produced in conjunction with so many community leaders who can offer assistance and A10 is proud to sponsor such an impactful event. Women who screen for high blood pressure at the Go Red for Women Day will receive free appointments from the Women’s Health Department Wise Women organization. Keep up to date on www.a10clinical.com and Go Red with the A10 Team!